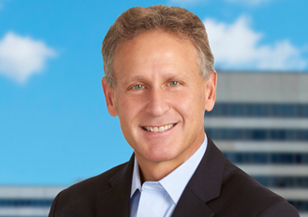 Jim Citrin leads Spencer Stuart’s North American CEO Practice and is a core member of the firm’s Board Practice. During his 25 years with the firm, he has worked with clients on more than 700 CEO, board director, and other top management searches and succession assignments. In May of 2017, he was reelected to the Spencer Stuart worldwide Board of Directors for a sixth term, and has served as a director for 19 years. Jim’s clients include world-leading media, technology, communications and consumer companies, as well as other multinational corporations, financial services institutions, private-equity firms and venture capital firms, and educational and not-for-profit institutions. A noted expert on leadership and professional success, Jim has authored seven books, including The Career Playbook: Essential Advice for Today’s Aspiring Young Professional, released in April 2015, and other bestsellers You’re in Charge — Now What?, Lessons from the Top, The 5 Patterns of Extraordinary Careers, and You Need a Leader — Now What?, based on the groundbreaking Spencer Stuart CEO Transition Study. Jim has been widely interviewed, quoted and published in outlets including The Today Show, CNN, the BBC, The Wall Street Journal, The New York Times, The Financial Times and Harvard Business Review, among many others. Jim is also a LinkedIn Influencer with more than a million followers, covering a range of leadership and career strategy topics. Deeply experienced in governance, Jim has been named to the National Association of Corporate Directors (NACD) Directorship 100, which recognizes the most influential leaders in corporate governance. Prior to joining Spencer Stuart, Jim spent five years at McKinsey & Company and was an associate at Goldman, Sachs & Co. and an analyst at Morgan, Stanley & Company. Jim graduated Phi Beta Kappa from Vassar College in 1981 and served as a trustee on the school’s Board of Directors for 12 years, co-chairing the Nominating Committee. He received his M.B.A. from Harvard Business School in 1986, earning first- and second-year honors and graduating with distinction. In addition, Jim has served as a trustee and member of the Executive Committee of the Board at Wesleyan University for six years, and serves as a board member of the Cancer Research Institute, as well as the International Tennis Hall of Fame in Newport, Rhode Island. Internal Candidate: Blessed or Cursed? 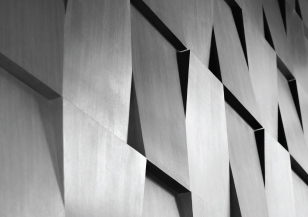 In our work, we’ve witnessed the best and the worst responses of leaders who are in the running for more senior roles within their organizations. What’s the best way for an internal candidate in an executive search to approach the opportunity? 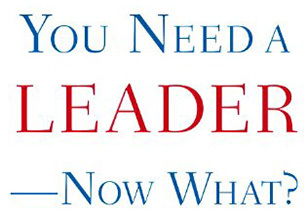 You Need a Leader - Now What? The best leaders aren’t found by looking for that one perfect person. Organizations get the leaders they need when they identify the demands of their situation, and create a process designed to locate the person who best fulfills those requirements.